Looking for an RC car for an adult is a different endeavor than searching for one for a kid. We tried to make it easier on you by making a list of the best RC cars for adults. The main consideration when searching for an RC car for an adult is that you want to make sure it is hobby grade. We have explained the difference between hobby grade and toy grade RCs in detail before, so all you need to know is that hobby grade is more durable, and made to be used more. Another big consideration is speed. If you are a grown-up, you do not want to be driving around a remote control car that has a max speed of 5 MPH. No, you want to be driving something that can go 50+ MPH, and can smoke any competition in a race. We put together a list of the best RC cars for adults. We took into consideration speed, durability, price, and function. For additional information about choosing a remote control car, check below the list. 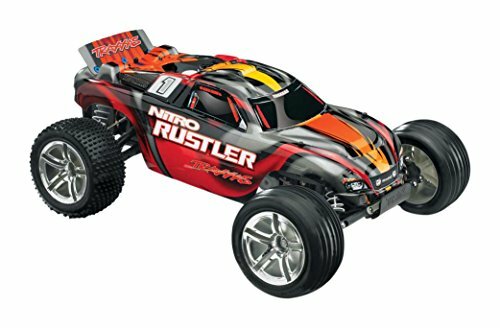 Our top choice for the best product in this review is the Traxxas Nitro Rustler. This car is the perfect choice for an adult who is looking to get into RCing. Between the insane speed, excellent handling, and legendary Traxxas design, this car will satisfy almost anyone. The first thing worth mentioning about this remote control car is that it is extremely fast. Unlike most toy grade RC cars, this thing is powered by nitro fuel instead of electricity. Each power source has its own benefits and drawbacks, but when looking at it from the perspective of an adult buyer, nitro wins every time. Nitro fuel leads to a very fast RC car, as it is more combustable than gas. Beyond the amazing speed of this vehicle, there are many great features that make this RC a blast to drive. For example, the Traxxas stability management is a classic feature of their cars, that controls wheel spin, resulting in a better handling ride. 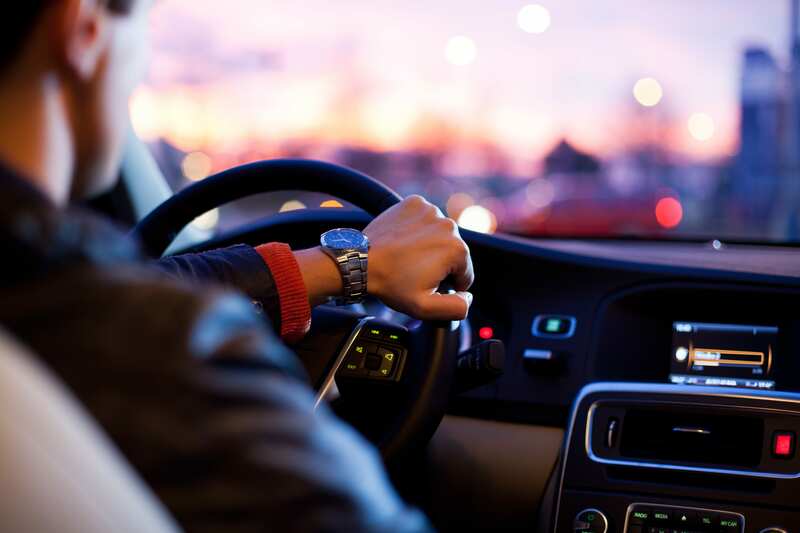 Included in this package is the racing engine glow plug, along with the “EZ-start” electric starter, which will save you time and headache trying to get your vehicle started. 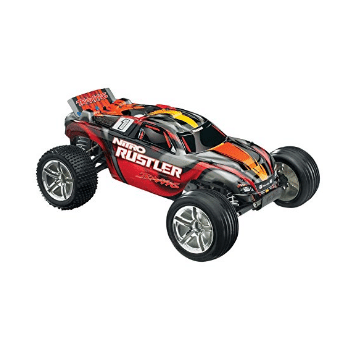 The Traxxis Nitro Rustler is a highly rated car, from both product testers and consumers alike. Among the comments were “I like it:, “I was impressed”, and “fantastic car”. Overall, this is the best RC car for an adult and it can be had fora reasonable price. 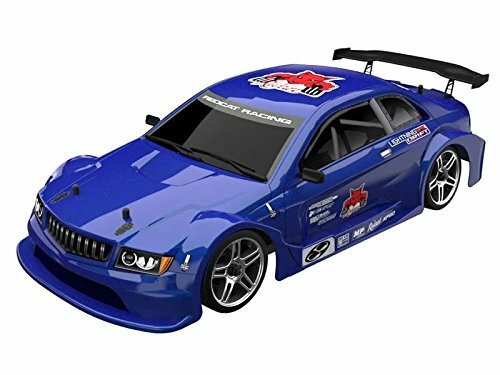 The 2nd best option in our roundup of remote control cars for adults is the Redcat Racing EPX Drift Car. This RC car comes in as the most affordable in this list. Although, that does not mean that it is a low quality RC. The main reason why we included this RC car is that it is different from most RCs. This car is meant for drifting, as opposed to maxing out speed. This results in a vehicle that is unmatched in entertainment, for adults and kids alike. Although it is meant for drifting, it is still quite a fast vehicle. Capable of reaching speeds of up to 23 MPH, this car is a blast to drive. The car is powered by a 4WD system, that makes drifting even more enjoyable and controllable. The lightweight chassis of this vehicle means faster acceleration and better handling. Speaking of handling, there are few cars out there that handle better than this one. The Redcat Racing Drift Car includes aluminum capped, oil filled shocks, as well as an independent and adjustable suspension system. Between the two, the handling on this vehicle is very smooth. 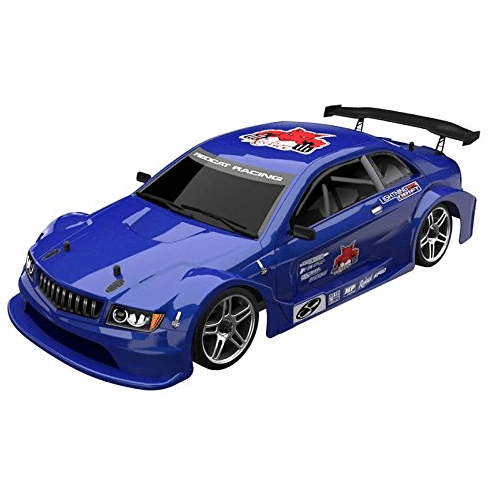 This car is one of the most highly rated RC cars on the market. Earning over 60 reviews with most of them being 5 star, customers and product testers seem to love this vehicle. Some of the comments about this vehicle were, “for the price, you can’t beat Redcat” and “car is fast, drifts very easily, and is very well constructed”. People seem to rave about this car, and the insanely low price makes it even more attractive. 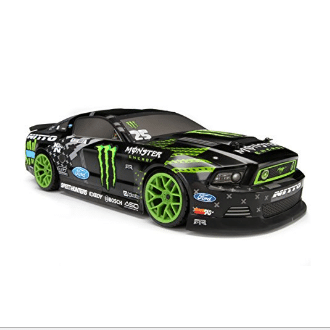 The final item in our review of remote control cars for adults is the HPI Racing Mustang Drift. Although this is an expensive vehicle, it was good enough that it surpassed our expectations and made it to this list. This RC car comes equipped with a quick change battery holder, which is a huge time saver. There is nothing worse than spending more time working on your vehicle than driving it around. This car is more meant for drifting than speed, but it is plenty capable in both arenas. Though not as highly rated as the other two models, this is still a solid choice for an RC car for an adult. This Car was still praised by most people who tested it, with some saying things such as “Car is awesome”, “great product” and “nice for the money”. Our overall opinion of this vehicle is that it is fun for adults to use, but the high price makes it not as attractive.